1 Who is Keri Hilson? 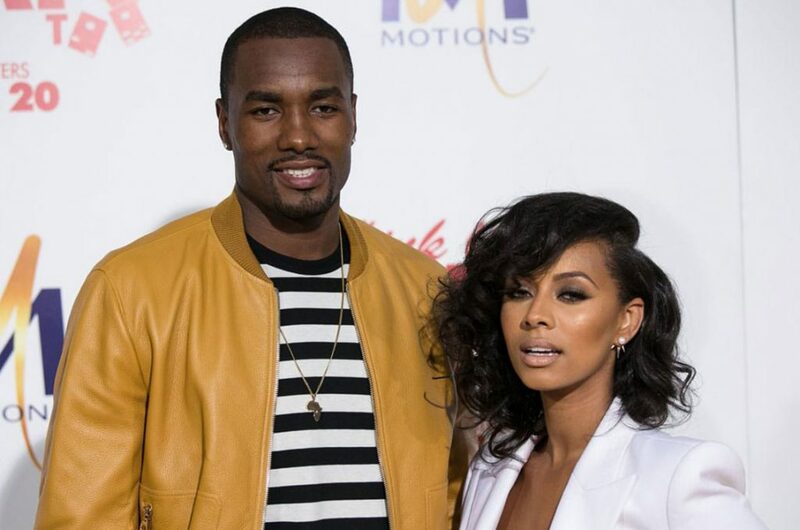 6 Do You Know How Rich Keri Hilson Is? 7 Do You Know About Her Personal Affairs, Marriage, Children? 9 Is Keri Hilson on Social Media? Keri Lynn Hilson was born on the 5th December 1982, in Decatur, Georgia USA, and is a musician, singer, songwriter and actress, perhaps best known to the world for her debut studio album “In a Perfect World…”, released in 2009, which achieved gold status in the US, and Silver in the UK. She has also had success as a songwriter, writing hit songs for such artists as Mary J. Blige, Britney Spears, and Pussycat Dolls, among many others. Keli, of African-American ancestry, grew up in a middle-class family of five children, with a brother Kip, and sisters Kelsee, Kye, and Kaycee. She didn’t go to school in the family neighborhood, but alongside her siblings went to a school an hour away from the family home. From an early age, Keri was interested in music and her mother paid for her piano lessons, but Keri wasn’t much enjoying playing, as she preferred singing instead, so as time went by, Keri changed piano lessons to vocal training, and would sing accompanied by piano. Two years into training, Keri secured a record deal with D’Signe, a girl group which soon disbanded, but she continued her education as well, and studied a course in theater at the Oxford College of Emory University, and Emory University in Atlanta for three years. During her teenage years, Keri focused on songwriting, and collaborated with producer Anthony Dent as a songwriter and background vocalist for the likes of Usher, Ludacris, Kelly Rowland, Toni Braxton, Ciara and Polow da Don. Once she was out of college, she worked more with Polow da Don, ceasing cooperation with Dent, but joining the production and songwriting team, The Clutch, with which she worked on “Take Me as I am”, sang by Mary J. Blige, then Ciara’s “Like a Boy”, Britney Spears’ “Gimme More”, and many other hits of the mid- 2000s. During this time, Keri also met Timbaland, who at the peak of his career signed her to Mosley Music Group, his own record label. She collaborated with Timbaland on a couple of his songs, such as “The Way I Are”, before starting work on her debut album “In a Perfect World…” in 2008, which came out the following year. “In a Perfect World…” topped the US R&B Chart, and achieved gold status in the US, launching young Keri to stardom. The album spawned such hits as “Turnin’ Me On”, a duet with Lil Wayne, then “Knock You Down” which featured Kanye West and Neyo, and “I Like”, which achieved platinum status in Germany. Keri continued to work on her own music, and in 2010 released her second album, “No Boys Allowed”, which was a big letdown in comparison to her debut release, since the album reached only No. 7 on the US R&B Chart. Keri then went on extensive tours, performing in Australia and Europe as well as US, and hit the studio only in 2015, since when she has been working on her third album “L.I.A.R.”, which stands for “Love Is a Religion”, apparently scheduled for release late in 2018. Keri has also been enjoying a rather successful acting career; she made her debut back in 2012, when she portrayed Heather in the award-winning romantic comedy “Think Like a Man”, starring Chris Brown, Gabrielle Union, and Kevin Hart. Since then she has had several other notable roles, including the part of Jasmine in the film “Almost Christmas” (2016), and as Billie in the television film “Love by the 10th Date” (2017). Don’t miss today’s #StraightTalk Panel on @SteveTVShow!!! ?? Do You Know How Rich Keri Hilson Is? Keri has been interested in music since her earliest years; she started honing her skills from the age of 12, and so far her achievements have steadily increased her wealth. So, have you ever wondered how rich Keri Hilson is, as of mid- 2018? According to authoritative sources, it has been estimated that Hilson’s net worth is as high as $25 million. Pretty impressive, don’t you think? Do You Know About Her Personal Affairs, Marriage, Children? 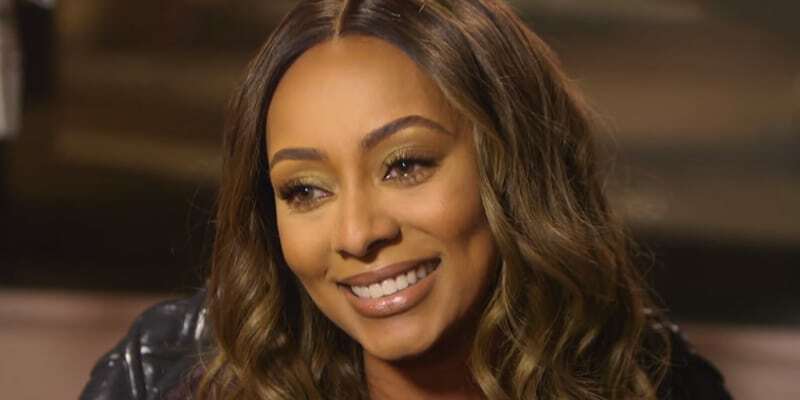 When it comes to her personal life, Keri isn’t quite as open about it as she is with her career; she tends to keep her most intimate details hidden from the public eyes, though it is known that Keri has been married to Samuel Soba since 2002, and the couple has two children together, but there are no further details about the family. Aside from music, acting and family, Keri has found inspiration in helping those less fortunate; she has been involved in a number of campaigns that were organized to help victims of the 2010 Haiti earthquake, then recorded a charity single “Oh Africa”, with Akon, with all the earnings directed to underprivileged African youth, and she has been a part of a number of campaigns that involve fighting against HIV and AIDS. Keri has also held numerous charity concerts for various causes. Is Keri Hilson on Social Media? Keri can be found on such social media as Instagram, Twitter, and Facebook as well, and is rather popular on them, which has also made her a star. On her Facebook page, Keri has a total of seven million fans, with whom she has shared details of her most recent career endeavors, such as her collaboration with Nikki Chu, among many other enterprises. She is also active on Instagram, on which she has around three million fans, who enjoy daily posts which include her friends as well as family. Keri is no stranger on Twitter, on which she has a fan base of close to five million, with whom she has shared her opinions and ideas, but also her philanthropic endeavors. So, if you aren’t already a fan of this successful multi-talented artist, then this is a fantastic opportunity for you, just follow links to her official pages. Keri hasn’t captured many hearts just by her talents, but also by her looks. You are probably wondering about Keri’s height and weight; well, Keri stands at 5ft 9ins (1.77m), while she weighs 117lbs or 53kgs. Her vital statistics are 32-25-34. Furthermore, her eye color is brown and she has blonde hair.